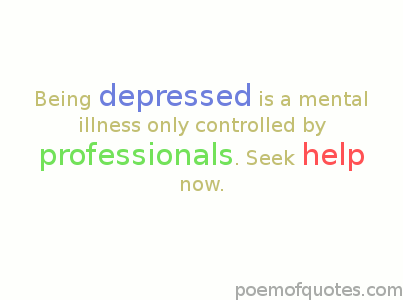 This page includes many quotes about depression and being depressed. The authors are famous people (actors, athletes, and philosophers) throughout history and with a history of great sayings. Feeling sad is often an occurance after being in love which may also bring suicidal thoughts. Here are a few sayings about this horrible experience. Being depressed is only a state of mind. Doing what makes you truly happy will take that feeling away. I can't think of anything when I'm depressed. I just want to be alone. 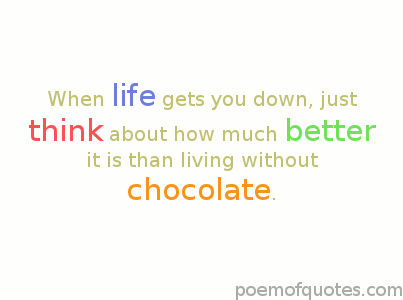 Wanting to be happy is not the worst thing in the world, but wanting it badly enough to make us depressed is. Sadness is a short adjustment period. Depression is a long term illness. Misery is something we all go through, but letting it take over our lives will destroy us. Feeling heartache may make it seem like the world is coming to an end, but it isn't. It is our past lives making way for a new one. Being in despair doesn't mean it's the end of the world, it just gives you a new beginning. Don't let your past griefs take control of your present mind. I don't hate you for loving you. I just hate my heart for choosing someone like you. You have moved my world when you came, but you made it shake when you left. Ishael Ryun Depression is nourished by a lifetime of ungrieved and unforgiven hurts. Depression is not sobbing and crying and giving vent, it is plain and simple reduction of feeling...People who keep stiff upper lips find that it's damn hard to smile. Judith Guest In a real dark night of the soul, it is always three o'clock in the morning, day after day. The secret source of humor itself is not joy, but sorrow. There is no humor in heaven. Death row is a state of mind. Sad quotes - Quotations about the emotion. Sad love quotes - When you are sad about love. Sad suicide quotes - The act. The feeling.